Kenneth E. Bogden was born in Royal Oak, Michigan, on May 21, 1952. He graduated from Huron High School in 1970. Bogden attended Wichita State University where he graduated in 1973 and received a Bachelor of Business Administration with an emphasis in accounting. While attending WSU, Bogden was a 4 year lettermen for the Shocker football team and was selected as one of the team captains his senior year. Bogden received his Juris Doctorate from the University of Toledo College of Law in 1978. He was admitted to the Ohio Bar in 1978 and the Federal Bar in 1979. Bogden was previously a sole practitioner and then a partner in the law firm of Ramsey & Bogden. 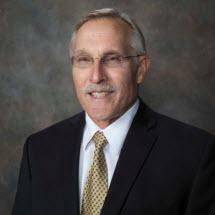 In 1989, he was one of the founding partners of Reno, Bogden & Ferber where he currently practices law. His past work experience includes serving as an Assistant Erie County Prosecutor and Assistant City Solicitor for the City of Sandusky. His primary areas of practice are Probate, Estate Planning and Family law. Bogden is married to Deb and they have 2 married adult children and 4 grandchildren.